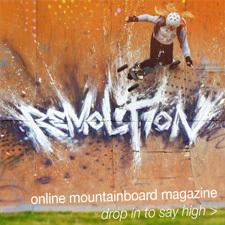 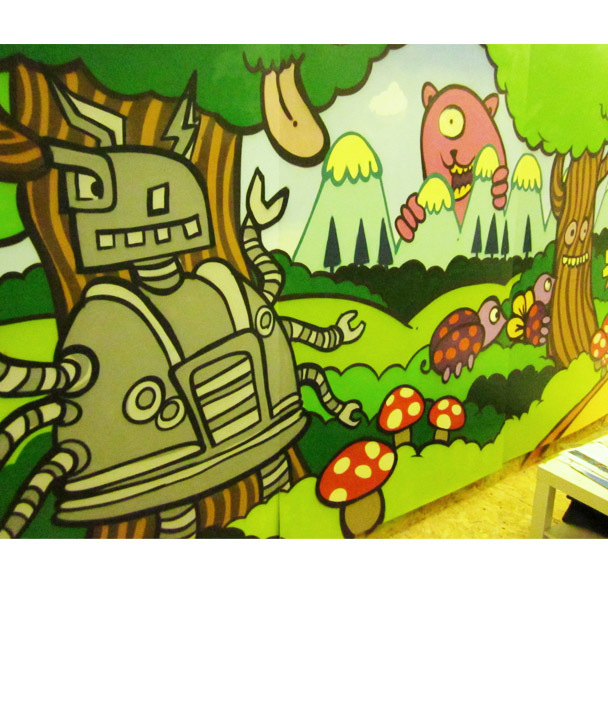 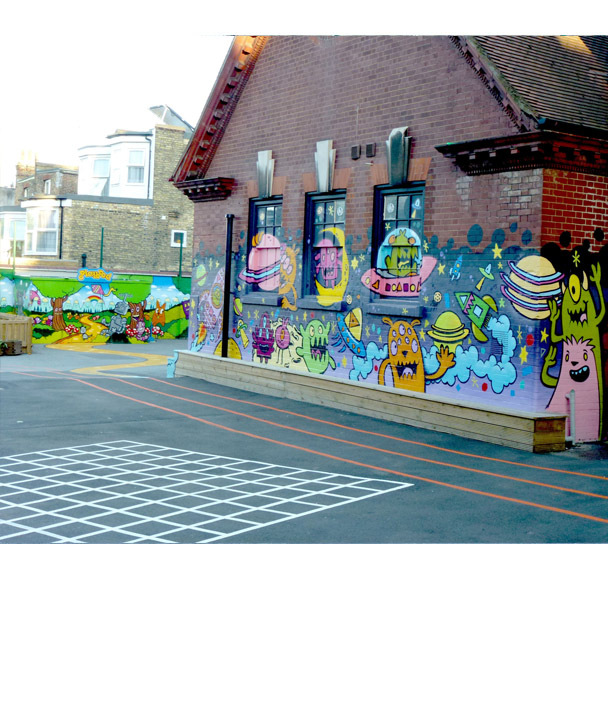 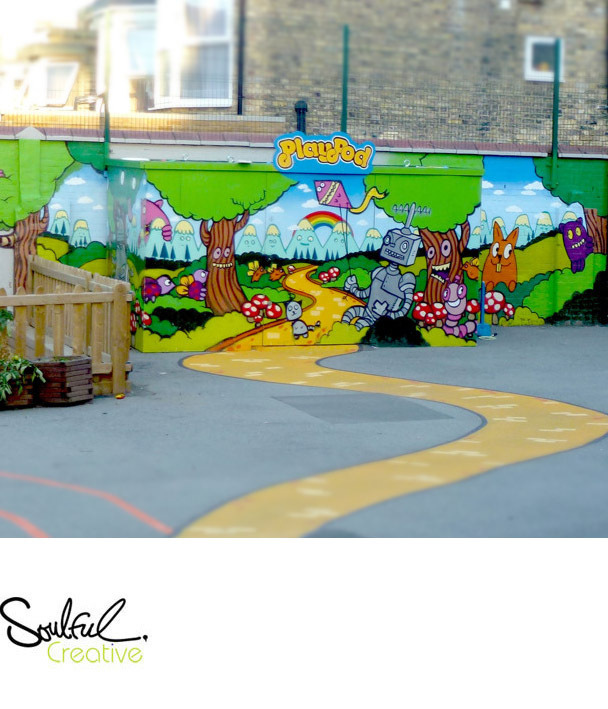 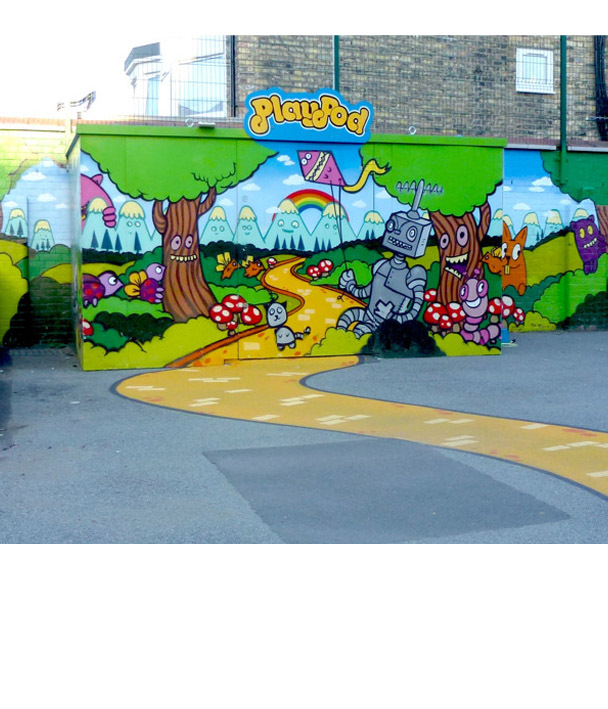 Soulful Creative designed this mural for a school in N. London. 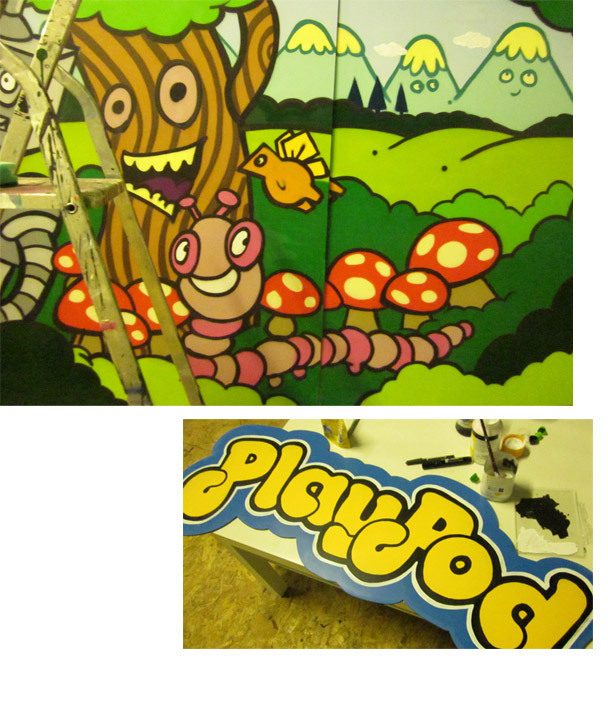 Decreate produced, it was wrapped around a shipping container that stored all games equipment, the 'PlayPod', and then continued onto the playground walls and floor. 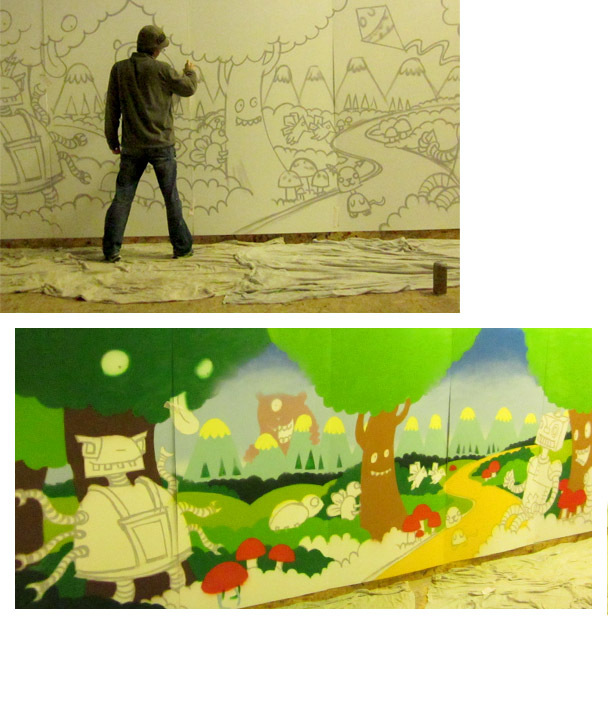 Decreate, Onion & Koze also creating running tracks and lines for games alongside a further space-themed mural.